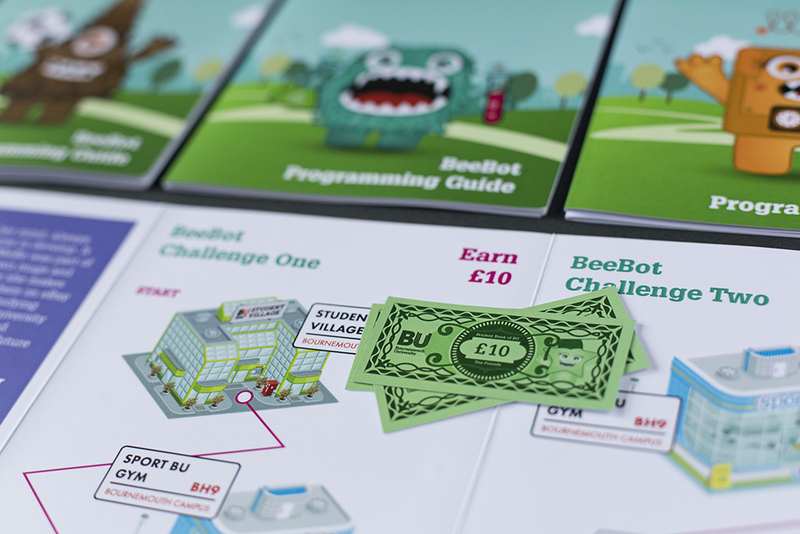 We worked with Bournemouth University on their schools outreach programme. The brief was to produce a set of characters and supporting material aimed at primary school learners aged 9-11 year old to get them to start thinking about their educational choices and career options. Bournemouth University visits local primary schools, supporting the PSHE curriculum. Whilst visiting schools the aim is to encourage children aged 9-11 to start thinking about their future career choices and education options going into secondary education. To make visits more engaging for this age group, we were asked to design some fun characters that could be used during the interactive sessions. 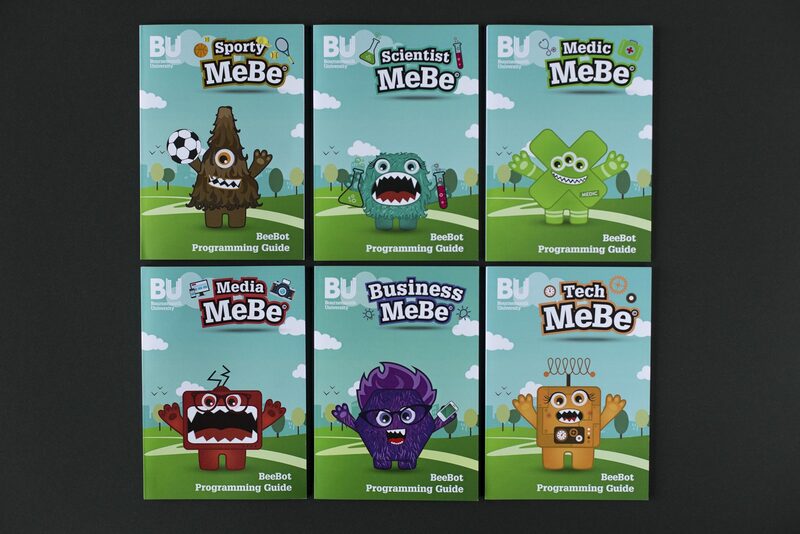 We designed the MeBe family, a series of characters of different shapes and colours representing both diversity in education and the range of subjects that students can study. Every character was assigned a personality, making each one unique and conveying a fun and playful appearance. 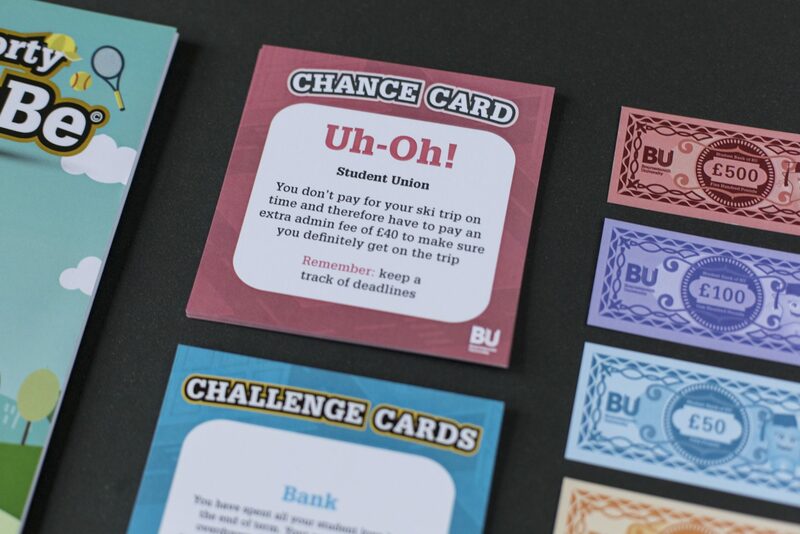 The typeface used was from the corporate BU branding but given a cartoon treatment to engage with the target audience. 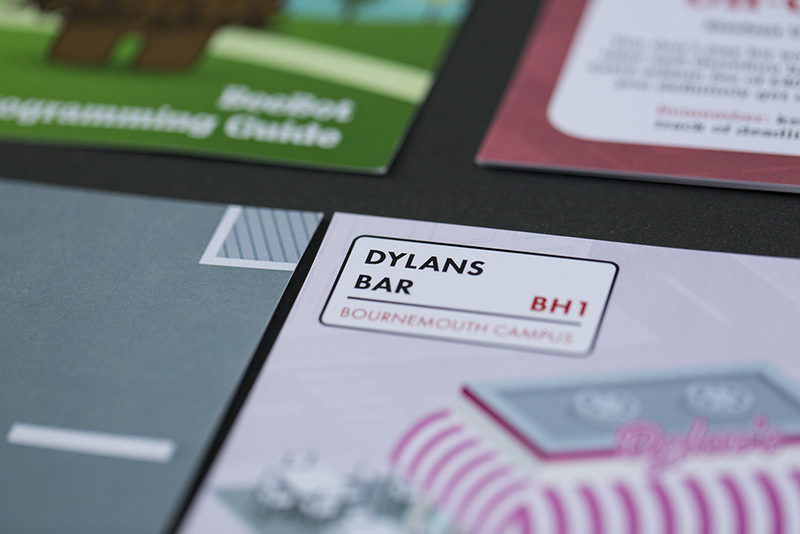 We managed this project start to finish, coming up with the initial concept and working with Bournemouth University throughout production. 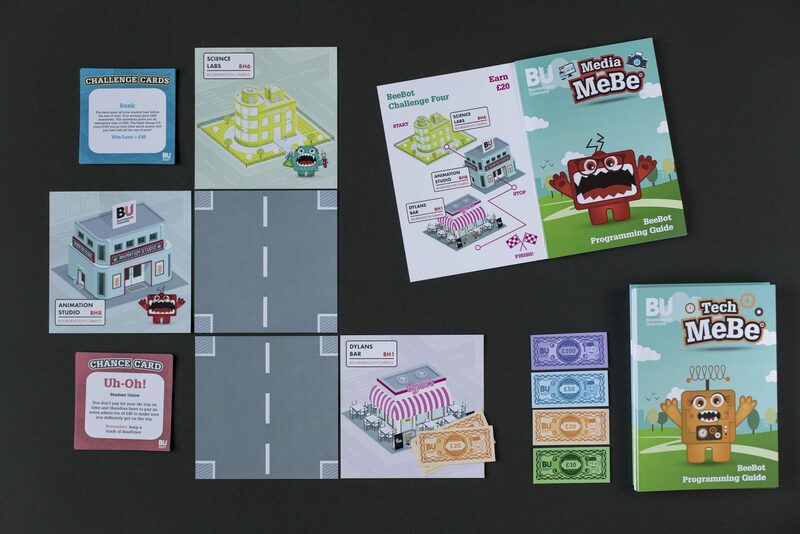 This included developing a name for the characters – MeBe is an amalgam of ‘me’ and ‘becoming’. Supporting collateral was also created for the sessions, using the characters as a focal point for activities.